Two years after Europe’s first successful non beating heart transplant, the team at Papworth Hospital say they have proven that heart transplants from circulatory determined dead donors (DCD) are successful and can save many more patients on the ever-growing heart transplant waiting list. Doctors at the Cambridge hospital were the first in Europe to successfully perform the operation, in March 2015, after identifying the new source of donor hearts. Up until then surgeons were only able to transplant beating hearts from donors following the diagnosis of brain death (DBD). The heart transplant rate at Papworth has increased by over a third since Huseyin Ulucan from London became the first recipient of a DCD heart, and doctors say the results are comparable to the current standard of hearts transplanted from brain dead donors. After two years waiting for a transplant on the transplant waiting list, Tom Shing was put on the DCD list and three months later, in April 2015, received the new heart he desperately needed. The agricultural engineer from Hertfordshire was the second patient at Papworth to undergo the procedure and only the seventh in the world. He was diagnosed with cardiomyopathy; a disease of the heart muscle which eventually left him fighting for his life in hospital and in need of a heart transplant by his late teens. Within seven hours of the surgery, the extreme sports lover was out of bed and doing exercises with a physiotherapist. 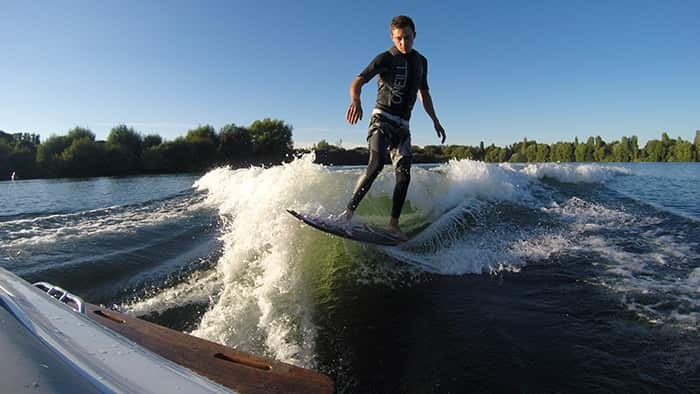 Within 10 weeks he was wakeboarding, and within 12 weeks he was back on his motocross bike. Other hospitals from across the UK, Europe and Canada are following Papworth’s lead in DCD heart transplantation in order that many more patients can benefit from a heart transplant. A DCD heart transplant costs around £25,000 more than a DBD procedure, and at present, in the UK, is paid for through fundraising.